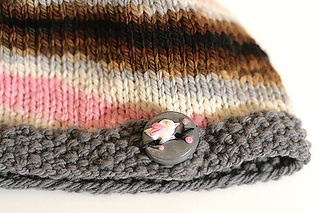 A sweet little beanie that really makes those special buttons pop. 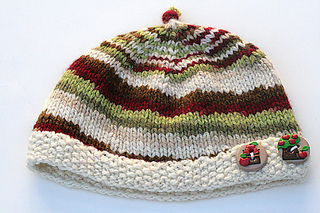 A great pattern for using up those extra bits of yarn. Sizing from infant (14 inches) to Adult (22 inches).